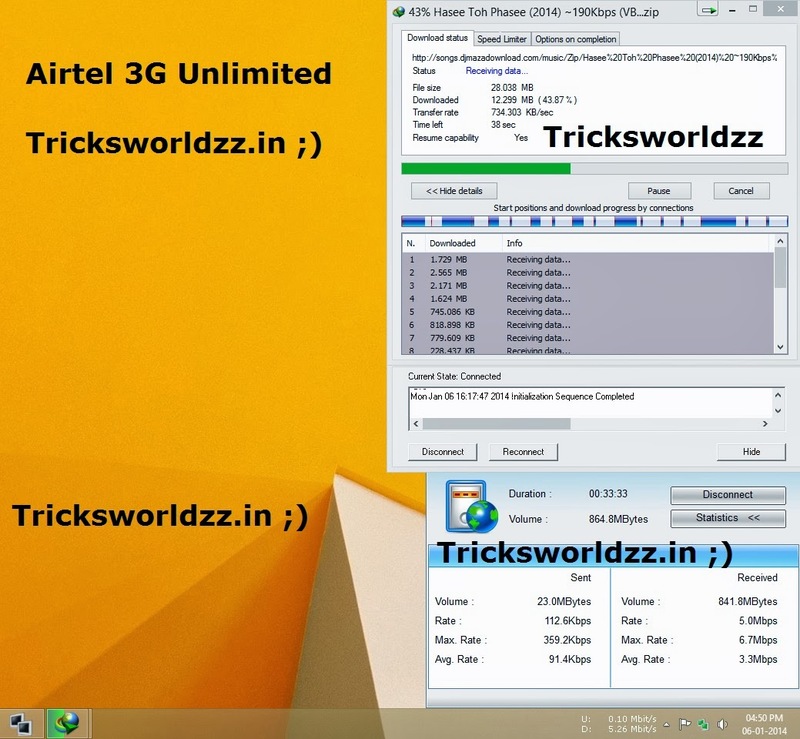 As usual we have to roll back to airtel 3G vpn trick as you know why ? The Reason is Tricks are getting blocked day by day nothing can be done for that because we are not taking care of tricks. We all know now days tricks are working less and users for using tricks are increasing day by day, we can’t do any thing for that because now days 3G internet packs are getting costly and costly . Previously we have shared many trick with you all and let me remind you all that all the below posted tricks are still working just you need to do a small changes on vpn book config that is you have to keep updating password for authentication you can found that .txt file in config files do the changes and keep enjoying. Now, Let me give some basic info about this free 3g vpn trick working with blocked so there are no restrictions and limitation for unlimited downloads and surf internet as much as you want , and if you sim card is not blocked yet use unlimited because there is no sim blocking for them. This vpn trick is based on Tcp port 433 so this trick will work for sure on states where tcp 443 is open i have tested this in Delhi airtel 3g prepaid sim also tested on up east found working on these , i guess this will work in other states too for sure i cant state here all the circles due to other states sim card you can try yourself and give as feed backs are most welcome in comments. is it working in karnataka? Plz send me confi.sir i am visit first time ur blog plz…..
Its also working in blocked sim.